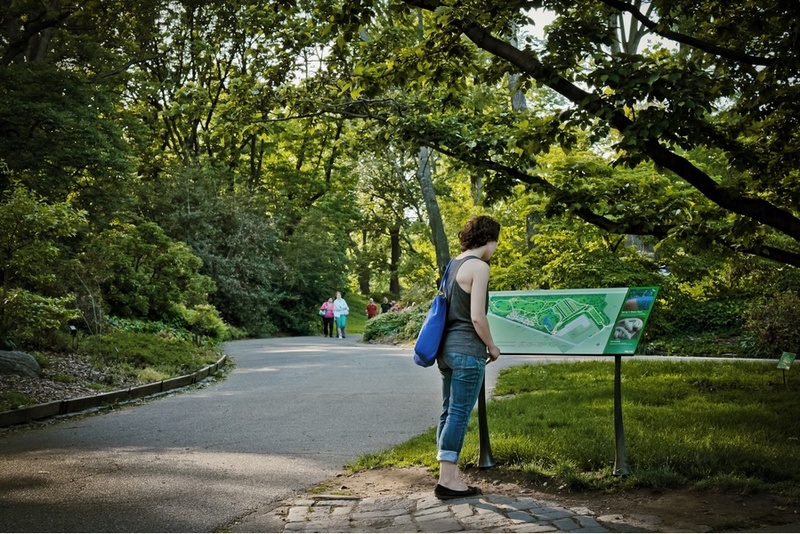 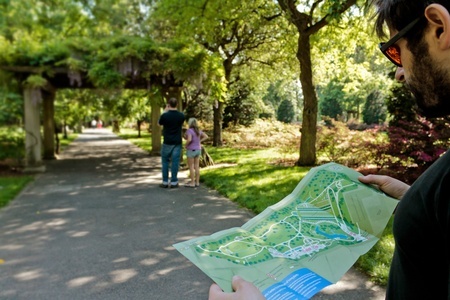 C&G Partners has recently collaborated with the Brooklyn Botanic Garden on a comprehensive orientation, directional wayfinding and mapping system. 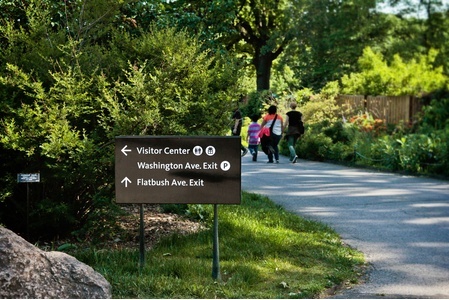 Occurring over multiple phases, the rollout updates an ad-hoc assortment of placemaking signs, directionals and other elements that had developed over the Garden’s extensive history without a central design directive. 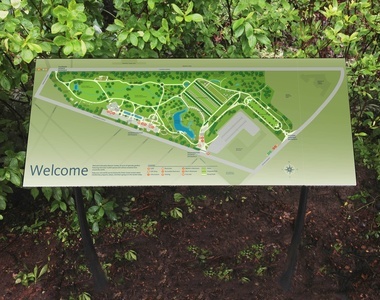 The new signs feature sleek, polished porcelain enamel faces, set within weathered bronze armatures that evoke the Garden’s austere, late 19th century fixtures, with stark directional lettering providing an instantly recognizable graphic contrast to the lushness of the grounds. This is only the first of a long series of anticipated signage rollouts, as the firm creates more customized maps for the BBG’s individual gardens and expands the directional signage system.